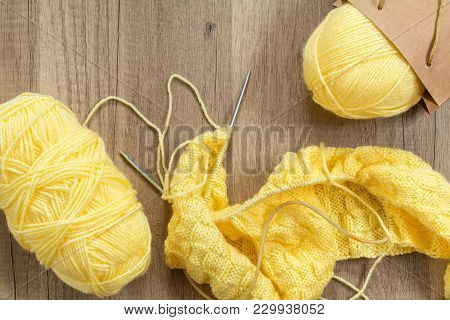 Light yellow knitting wool and knitting needles on wooden background. Top view.copy space. Knitted fabric and yarn on a wooden surface.